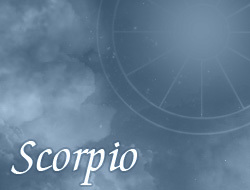 Persons under the sign of Scorpio have a very strong personality, so it is difficult to manipulate them. It’s a great advantage, since practically it won't be possible to cheat them. In the life they are guided by emotions, however must look out, because they have a high sensitivity to spoken words of others. If somebody tells them something inappropriate, may become withdrawn for some time. However, in most cases such persons simply try not to be upset by it. In spite of strong emotions, they try not to show them in surroundings, because other could use it against them. In the emotional life among them dominates an exceptional sensitivity. They have a soul of romantic and often don't reveal it. Such persons would be great writers, peculiarly of Romantic novels. They are quite secretive, thus it is not easy to see their true personality. Such people open themselves only when will already get to know somebody very well and will be able to trust them. In the life they want to have control of everything what they do, since don't like to be unsure of something – always want to have a clear situation. People born under the sign of Scorpio don't allow any mistakes, carefully pay attention to details. If the second person is tastelessly dressed or says something wrong, Scorpios at once catch it all, since it is their natural feature. A lot of Scorpios thanks to control over the life achieve internal calmness.